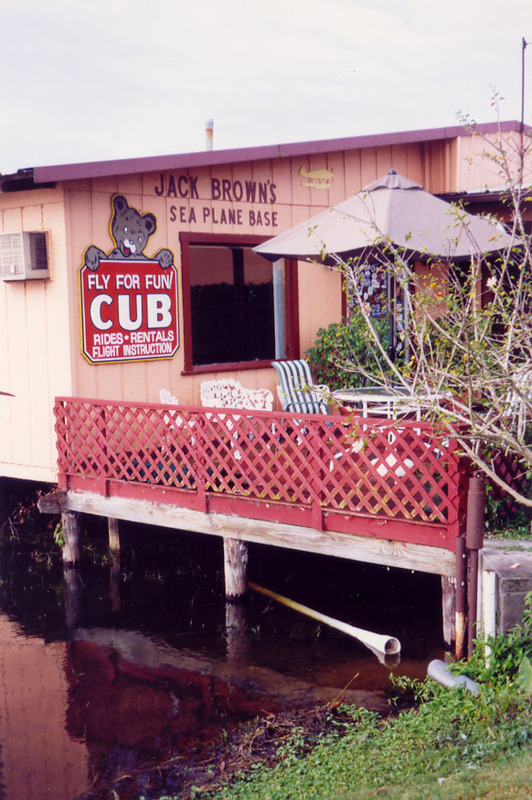 While in Florida, I took a refresher course on seaplane flying from Jack Brown's Seaplane Base, where I got my seaplane license. (January 30, 2004?) Here are some highlights. Click on the thumbnail images to get larger ones (around 100-300K). 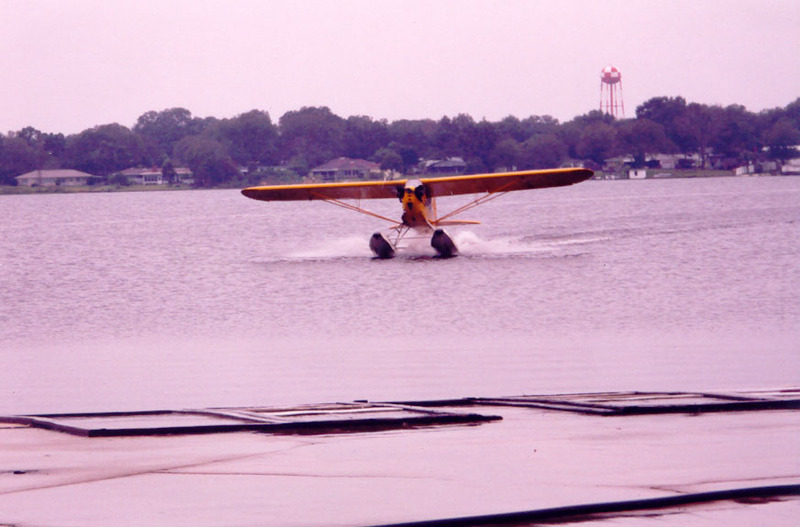 First, a few shots of the base and the seaplanes: Piper Cubs on floats. A couple pictures of the inside of a Piper Cub. The view of the instruments from the pilot's seat. Yeah, it's a crappy picture, but it was a crappy, disposable camera. The cub instruments are the ones required for basic day-VFR flight (in order from left to right: tachometer, oil pressure, airspeed indicator, magnetic compass, oil pressure, altimeter. (Note: the white thing that's on the bottom, second to the right is not an instrument). 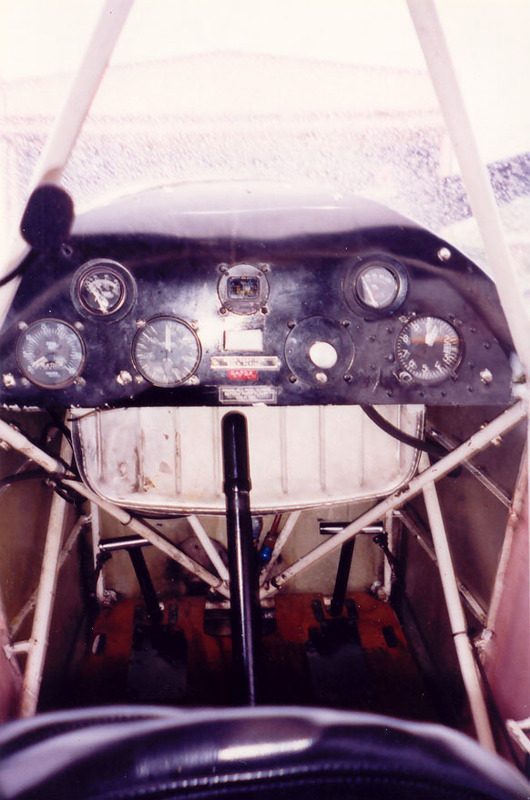 The seventh required instrument is the gas gauge, which is on the cowling (not visible in this picture): there's a coat hangar attached to a cork that floats in the gas tank. 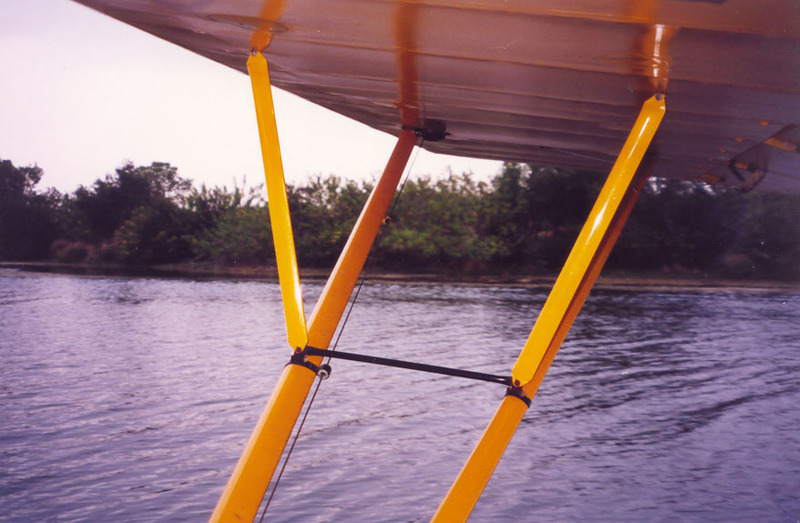 The amount of the wire hangar that sticks out indicates how much fuel is left (the plane holds around 2 hours of fuel). Below the instrument panel, you can see the control stick and the rudder pedals. The fuel tank is the ridged thing behind the panel and stick. 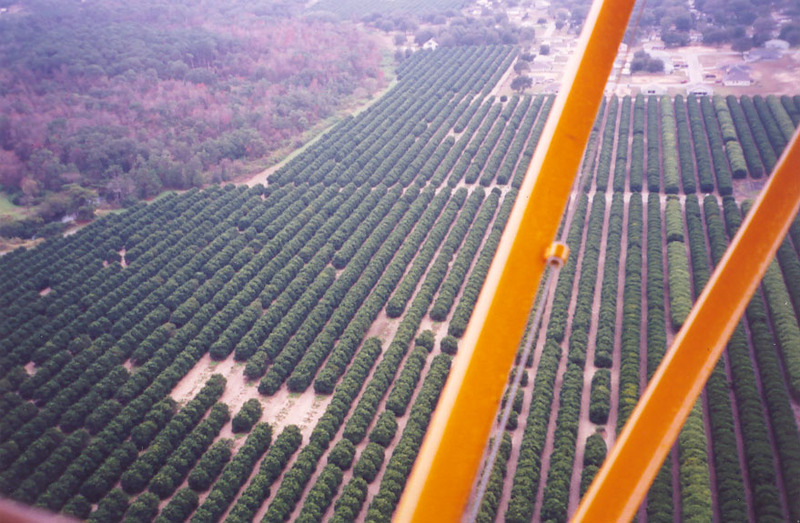 I didn't take too many pictures from the air, since I was busy flying. 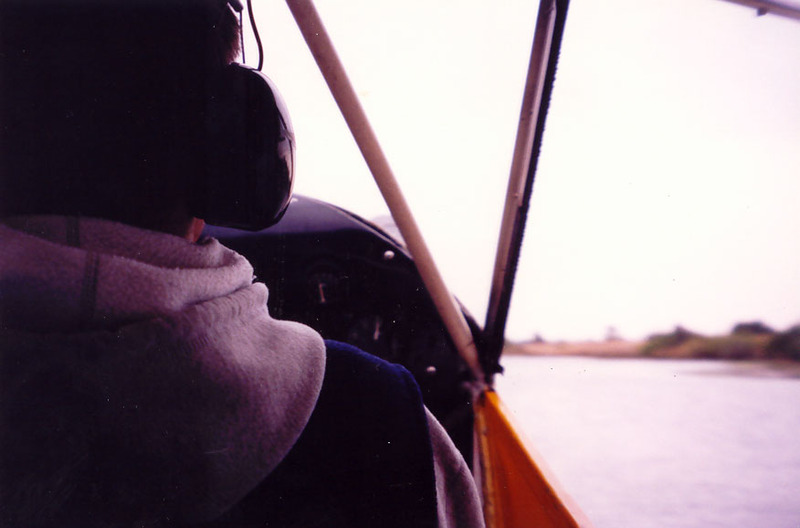 But there were a few times I asked the instructor to take the controls so I could take a couple pictures. 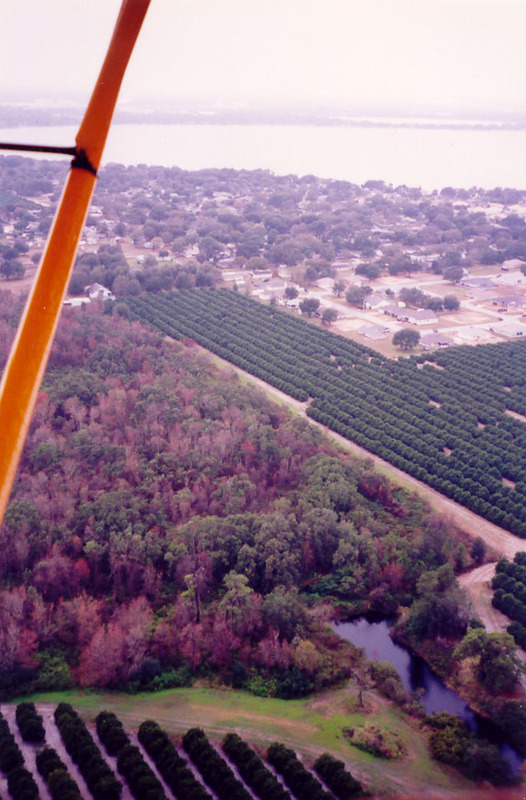 Once while we were on the ground, er, water, taxiing back to the end of a narrow channel, and a few while we were over orange orchards.